I love a road trip. Growing up, my family made a few road trips a year. My mother was always up for jumping in the car and going somewhere. I inherited that (along with a pesky anxiety issue and hoarding problem, waaa). 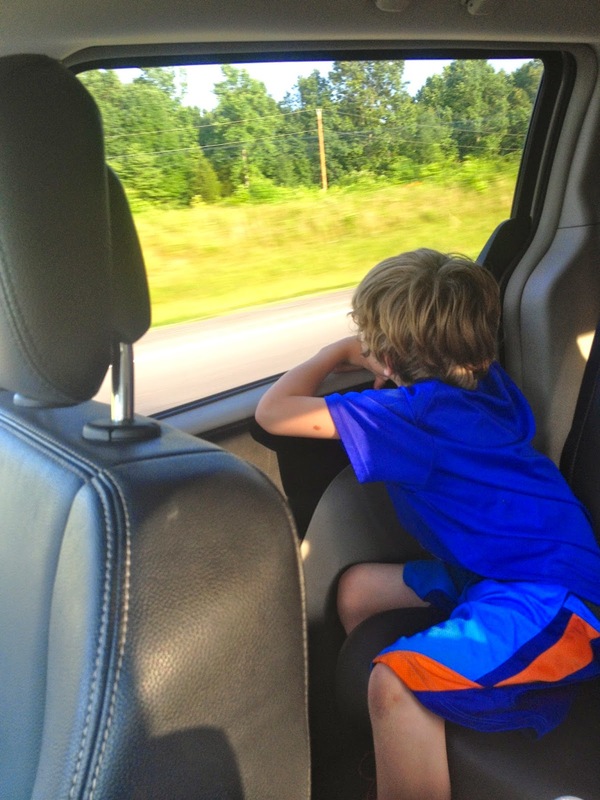 For the past 12 years, I have been taking my kids on road trips and I've learned a few things about making road trips not just survivable, but truly enjoyable. Start the journey in a relaxed state-of-being. Don't get too excited, don't get too anxious...stay calm, keep expectations low and relax. 2. Expect Traffic and Delays. Kids will have to go the bathroom a lot, know that for sure. Even if you limit liquids like I used to try to do, not all the kids will have to go the bathroom at the same time. 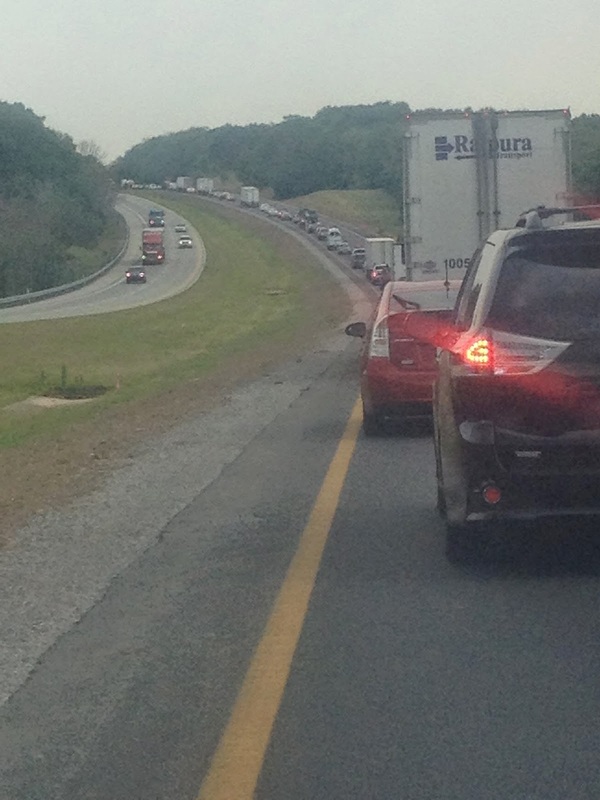 If you are traveling during the summertime, there will be road construction and that means there will be merging. Merging makes people stupid, it makes people act crazy, it makes people rude, it makes people drive on the shoulder because they want to get to the front of the lane. I am convinced that if we could figure out how to merge peacefully in highway construction we could solve all the problems in Washington D.C. So yeah, on my last trip we had some merging frustration. While I was muttering under my breath about "stupid construction" and "just sitting on the highway is so dumb," it started to rain. "I feel bad for the construction workers," said JT. "They have to work out there in the rain." Oh man, out of the mouths of babes. Yeah, I was in an air-conditioned van with my awesome kids, listening to our favorite music...perspective, gratitude, compassion and acceptance. Sitting in construction traffic isn't so bad. DVD players and Netflix on the iPad are ingenious, wonderful blessings for parents and kids on road trips. We bring a ton of movies and I enjoy listening to them on our trips. But we don't constantly have movies playing. We take movie breaks to daydream. Road trips are a storytelling/daydreaming mecca. My kids roll their eyes when I tell them it's time for a movie break, but then I catch them staring out the window. They are staring at the fields of corn, the mountains, the puffy clouds, the abandoned homes, the high school football fields, the neighborhoods, the farms, the factories...they all have stories. Kids fighting? Turn up the music. Do it, drown out the noise. It usually makes the fighting stop and even if it doesn't you can't hear them anyway. Don't be a radio hog though. Let the kids make some music choices too. But remember if you have to sit through their music choices, they have to sit through yours. Don't be offended if they don't like your music. "Why do you have to play these oldies?," my son exclaimed with disgust. He was referring to my Lauryn Hill MisEducation CD, sure a little old school, but oldies? I just turned it up louder. Guess what? It wasn't the end of the world. I believe talking to the kids about how everyone makes mistakes and takes a wrong turn now and again teaches coping skills and compassion. I am a sucker for cheesy roadside touristy attractions. Maybe it's because my parents refused to stop at any growing up. Maybe it's because I love cheesy things. Whatever the reason, I love these kinds of stops. Every summer my kids and I go to GunTown Mountain--it's sort of become like our Walley World from the old movie Vacation (one of the all time BEST road trip movies ever). 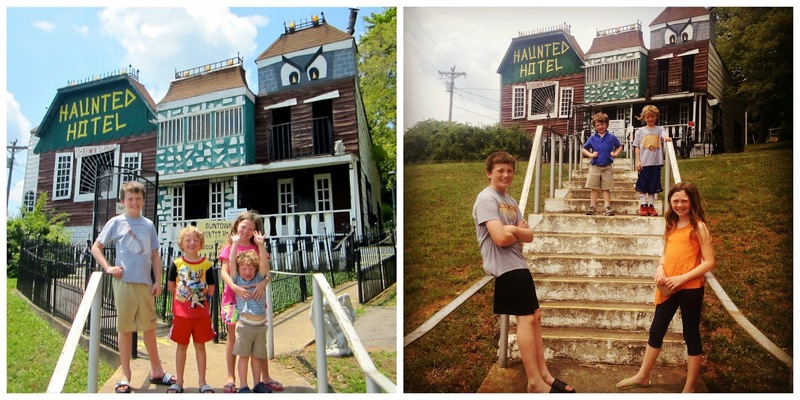 The kids in front of GunTown Mountain's Haunted House in 2012 (L) and then again in 2014. It is a family-friendly tourist attraction nestled in the Kentucky mountains somewhere between the Boobie Bungalow signs and the "Do You Know Jesus?" billboards. Over the years, we got to know the owner Miss Della and we were a little devastated when we found out she was retiring and selling the place last year. We weren't sure what to expect this year, but the new owners have added some fun features like "Old Time Photos." Um, hello? Yes!!!! Don't go broke on stupid fast food. Pack a lunch and get outside and have a picnic. I promise you your kids will complain but who cares? You are saving money and the lunch will probably be way more nutritious. This is just really practical advice. The end. Every time I travel someone I don't know helps me. Whether it's a kind man pointing me in the right direction to the bathrooms at the gas station or the nice lady at the rest area telling me she doesn't mind rowdy kids and that she "misses them being little"--people are nice, people are good. One year when I was traveling there was a particularly bad news story all over the TVs at McDonald's. Two rather big men stood in front of the TVs on purpose so my kids could not see the alarming broadcasts while we were in line. There is good in this world and people will help you in all kinds of ways. Don't worry about everything too much. Road trips can be the most adventurous, funny, ridiculous, special things you ever do as a family. Even if your pre-teen rolls his or her eyes at every suggestion you make on the drive, I promise they will remember the good parts. 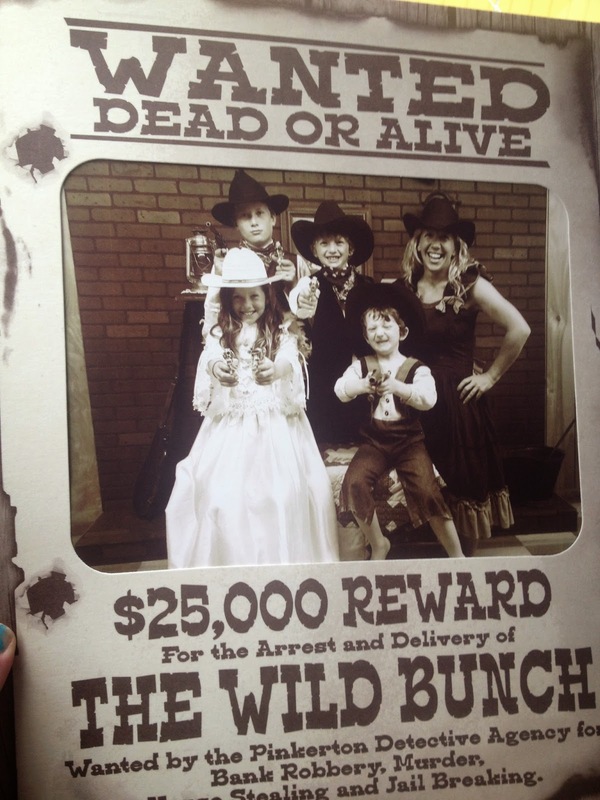 At the very least, it will make a good story for years about the time you made them dress up for an "Old Time Photo." Here's the highlight reel from our most current road trip. i love your videos! so much! 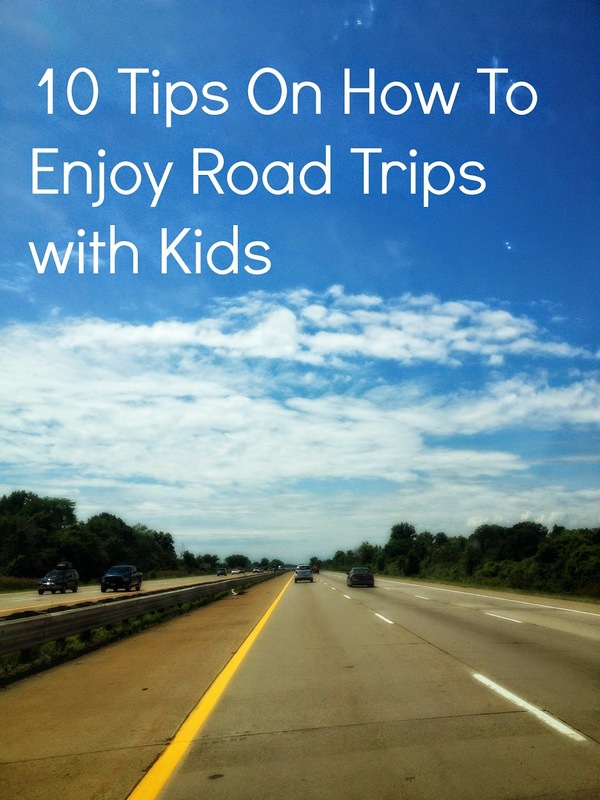 Each time I read about your road trip, I want to load my kids in the car and GO! YES! Excellent advice. The one I really need to work on is the spontaneous stops/Walley World fun. I have a really hard time stopping out of the blue...even for lunch or whatever. I have trouble making those quick decisions on the road. I need to work on that. Also, the two men standing in front of the tv made me tear up a little. It's true....strangers CAN be kind.